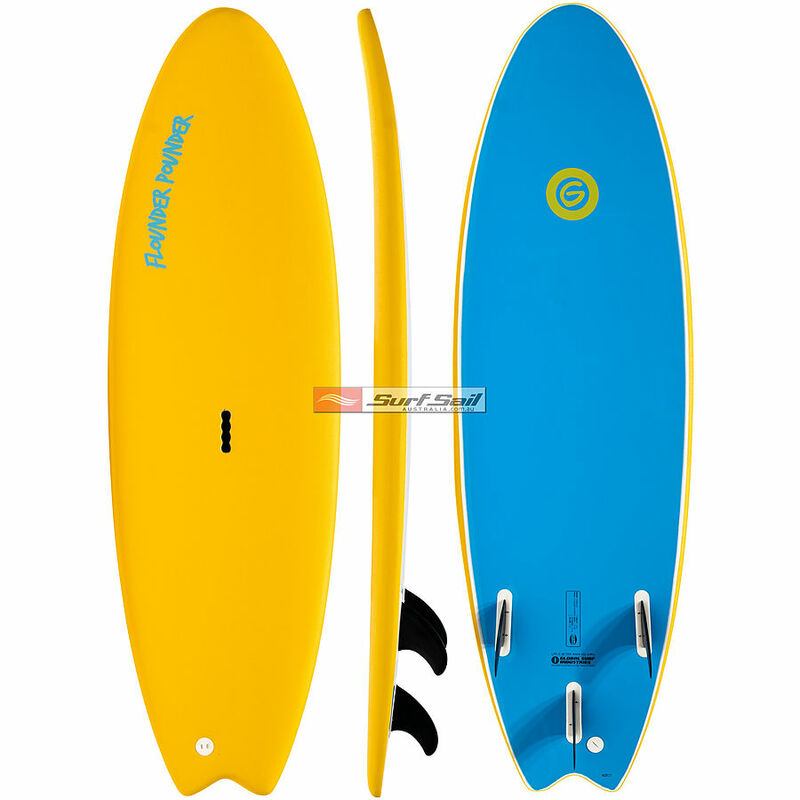 4.5	stars -	"Review for Gnaraloo Flounder Pounder Yellow Blue Soft Surfboard" Mark Taylor This Gnaraloo Flounder Pounder Yellow Blue Soft Surfboard is the best Gnaraloo I have tried. The Gnaraloo Softshell Flounder Pounder combines shortboard performance into one of the most user-friendly softboard designs on the market. New carry handle, the kids can carry their own boards to the beach! Softshell was developed for surf schools and beginner surfers who required a safe, durable, easy to ride surfboard. Softshell is essentially a thick Polyethylene skin wrapped around the deck and rail of the board, combined with a soft slick bottom surface that keeps novice riders safe in the event of impact. Using a vacuum construction process eliminates peeling or bubbling and allows Softshell boards to withstand the toughest of treatment, while providing many surfers the opportunity to safely catch their first wave.